Meet Claudia Gray one of my dear friends. We are photo buddies – we’ve shared many outings together with cameras in hand, taken photography classes, and enjoy getting together to play. 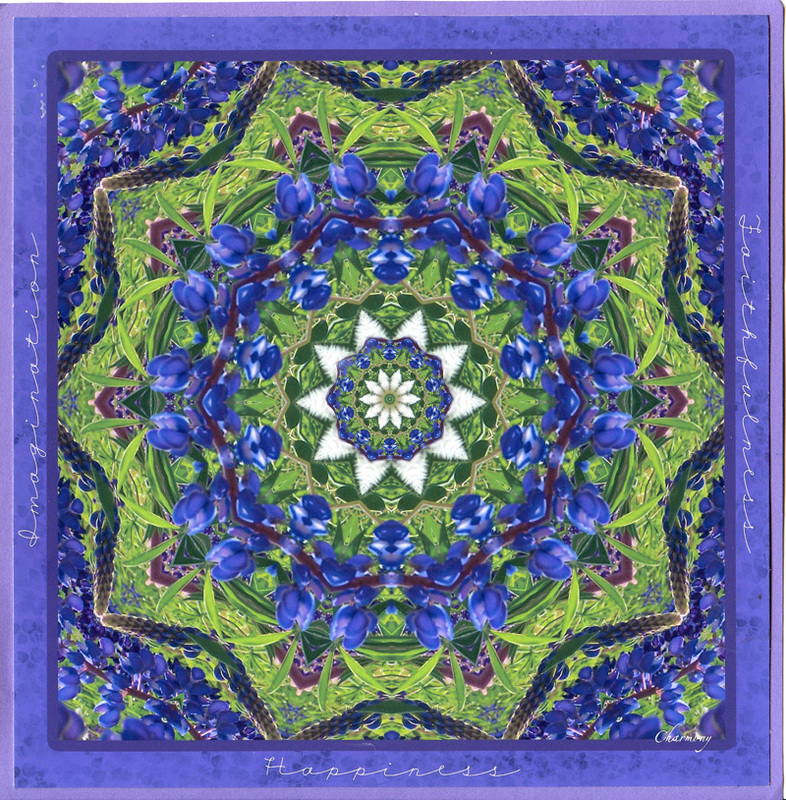 Over the years Claudia has made beautiful cards for her family, friends, and colleagues where she takes her photography and alters it using a program called Kaleidoscope Kreator. The first image in this post is the card she made for me and my husband Fernando on the occasion of our wedding. 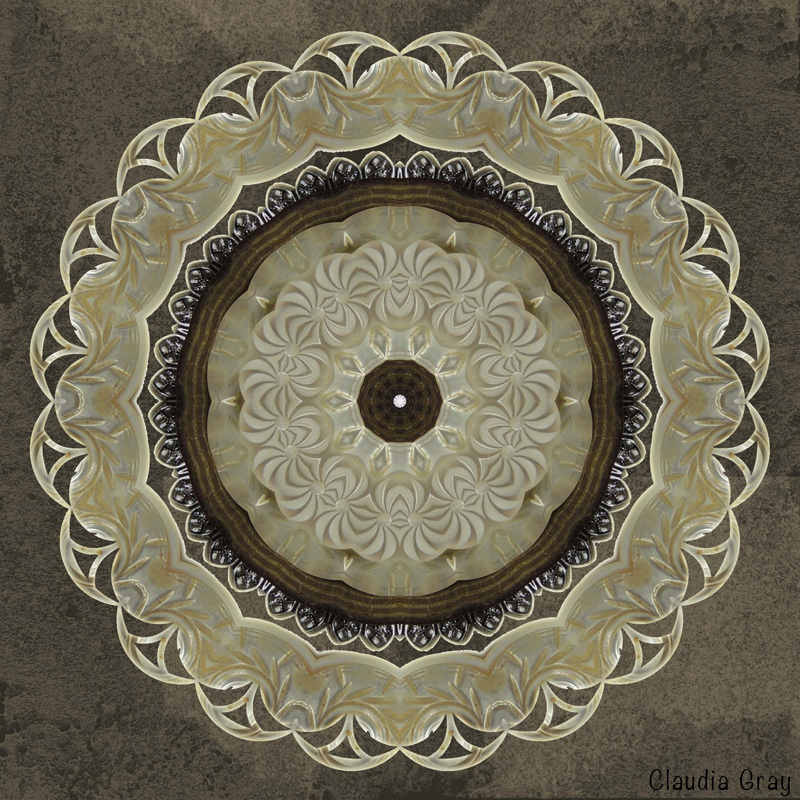 When I started this 100 Mandalas challenge, I knew I wanted to get together with Claudia to play. I packed with me some photos from some of our outings and photography classes. I was so curious to see what I could do with this program. 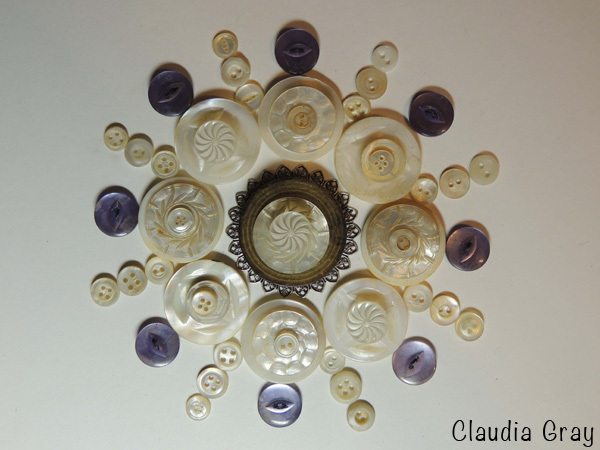 While hanging out together Claudia pulled out some of her buttons and made this mandala. Later in the week she surprised me with these gorgeous and unique mandalas. 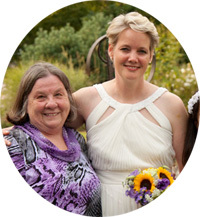 The program works by taking a section of the photo based on a shape that you select. It is a rather spontaneous and playful process. 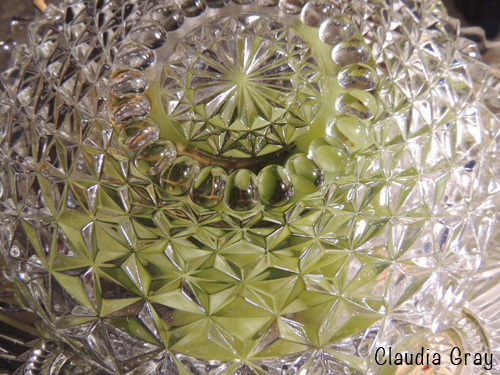 Claudia gets creative and photographs the bottom of a bowl. You’ll never predict what will happen with this image. In a recent visit, Claudia’s 9 year old grandson Evan, played with the program. 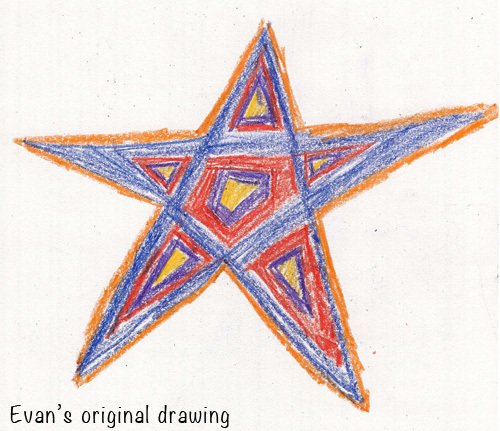 In this example he started with one of his drawings. Voila! 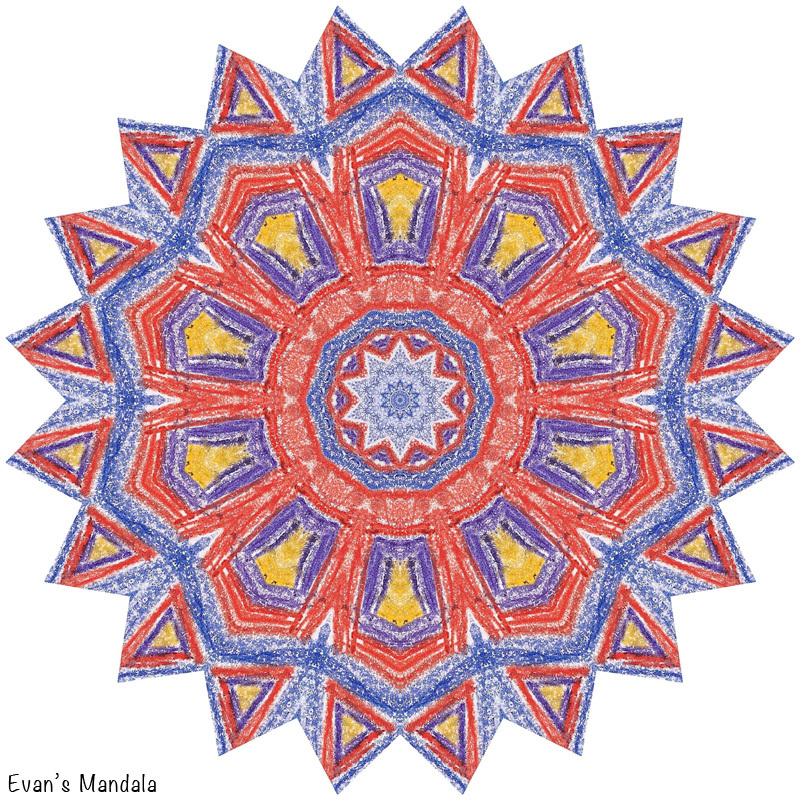 Mandala a la Evan. I heard that Evan was so hooked on the program that he made around 58 images in that one weekend. I think we can now call Evan a mandala making machine. 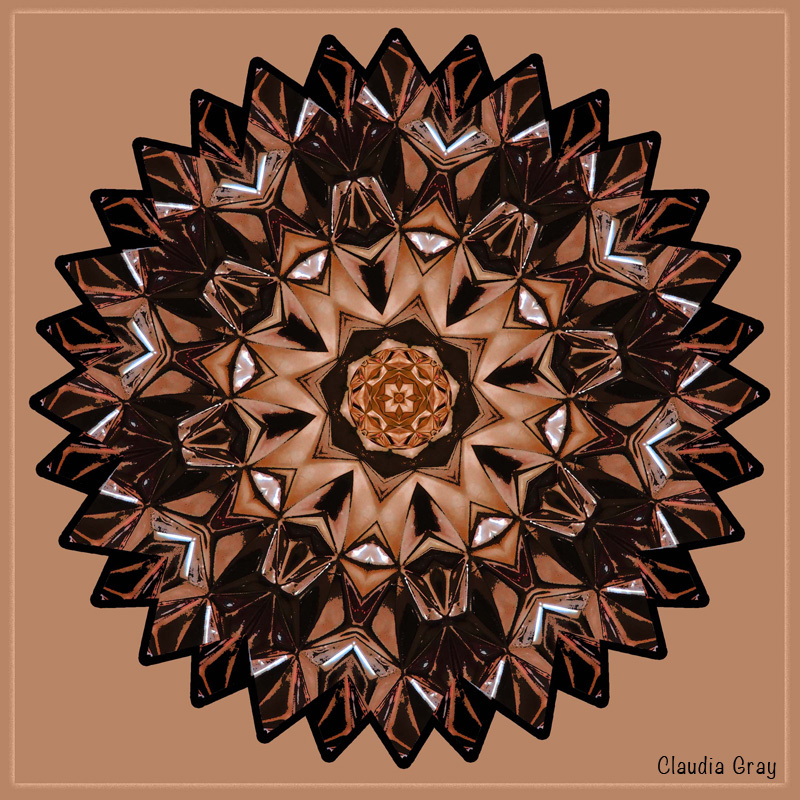 Many of Claudia’s cards over the years use photographs of flowers but she warned me that they become a tricky subject often resulting in mandalas filled with aliens or insect-like creatures. I found that to be the case and in fact, didn’t like a single mandala using the photos I had of flowers. For my first successful attempt, I pulled out a photo of bowling shoes that I had taken for a class assignment. Claudia was eager to see what was going to happen with this photo as it is so very different than any of the subjects she had tried before. Now how cool is this? It looks like I stitched this mandala. Although the program creates some interesting mandalas, often the entire composition is lacking in interest. 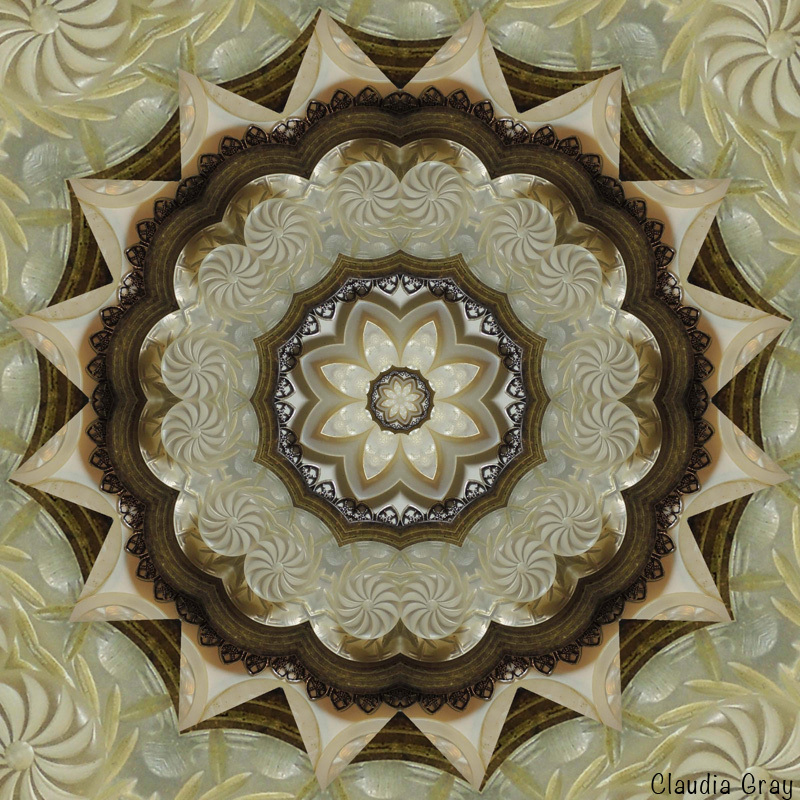 Claudia showed me how she takes several mandalas and puts them together in Adobe Photoshop Elements. 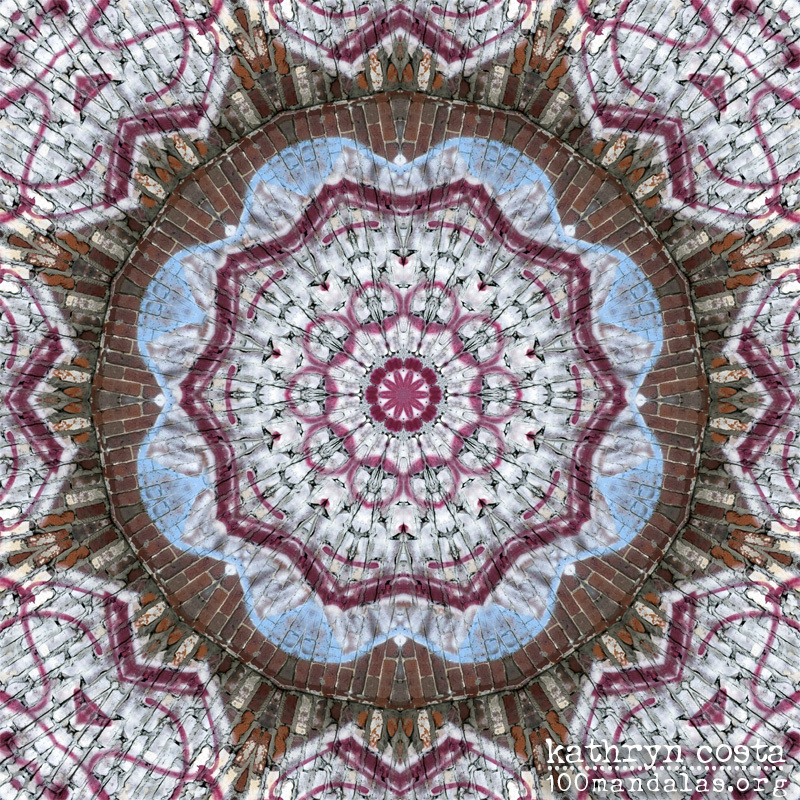 I did that with this bowling shoe mandala only I use the full version of Adobe Photoshop. If you look closely, you’ll see that some of the layers are repeated and resized. I like the layered look. I also didn’t like the corners of the original image so I applied a black to transparent gradient to hide the corners and give the piece some added depth. Here is another image I took one day when Claudia and I were in a shop where they sell sea shells. Are you ready to see what will happen with this one? 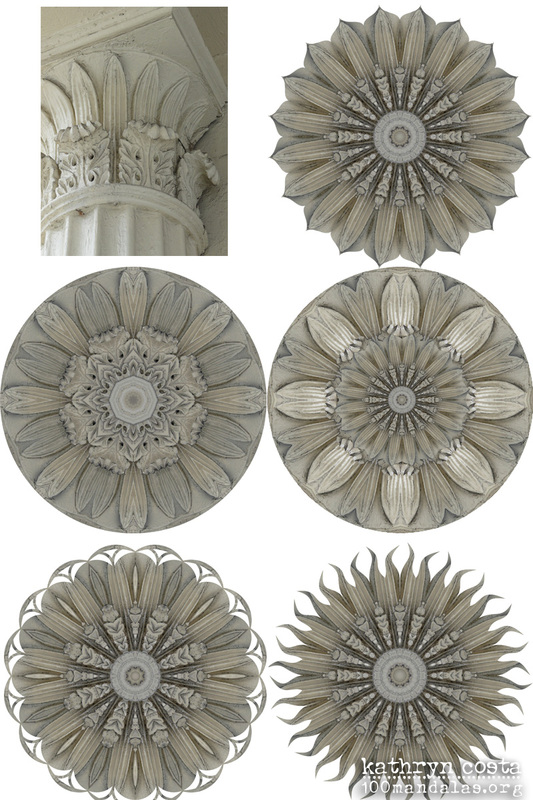 Here a photo of an architectural element was used to create several images. All of these examples are straight from the program and not altered. There are hundreds of options and endless hours of play…if only we had that kind of time! A wall covered with grafitti was the subject for my next mandala. It really was exciting to see these unique mandalas appearing before the screen with a push of a button. In this example, I worked it a bit and brought in a couple of pieces from several files. It looks like I spray painted this mandala. I hope you enjoyed this little experiment. It is fun to try new techniques for creating mandalas. 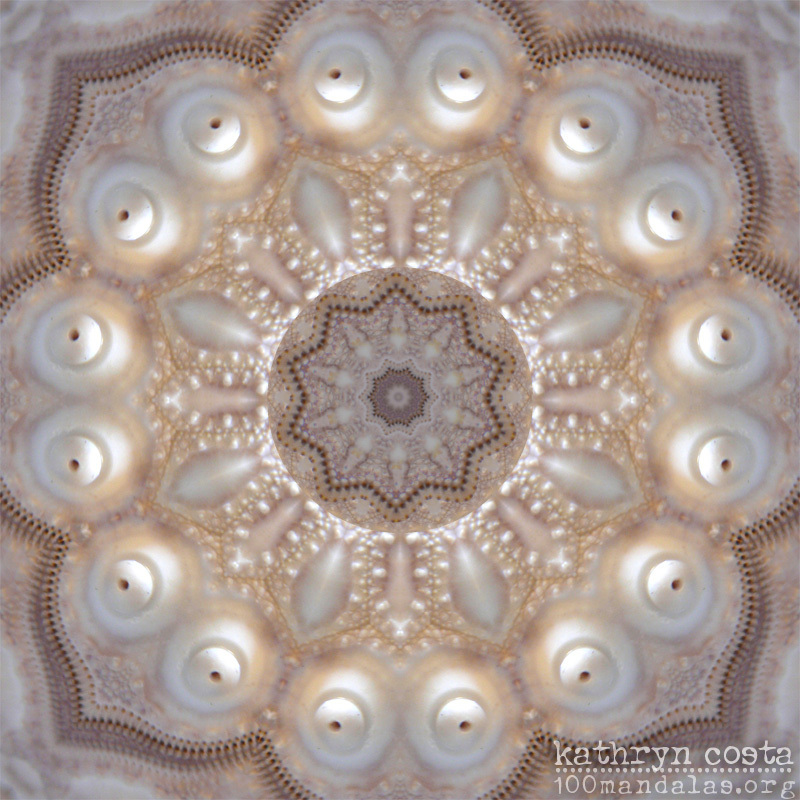 Love the ones with buttons … and then the kaleidoscope manipulation was marvelous. Will have to try both of those … ! I too love what Claudia did with the buttons. She just gifted me a bag full of buttons. I can’t wait to play with them! Thanks for your note. 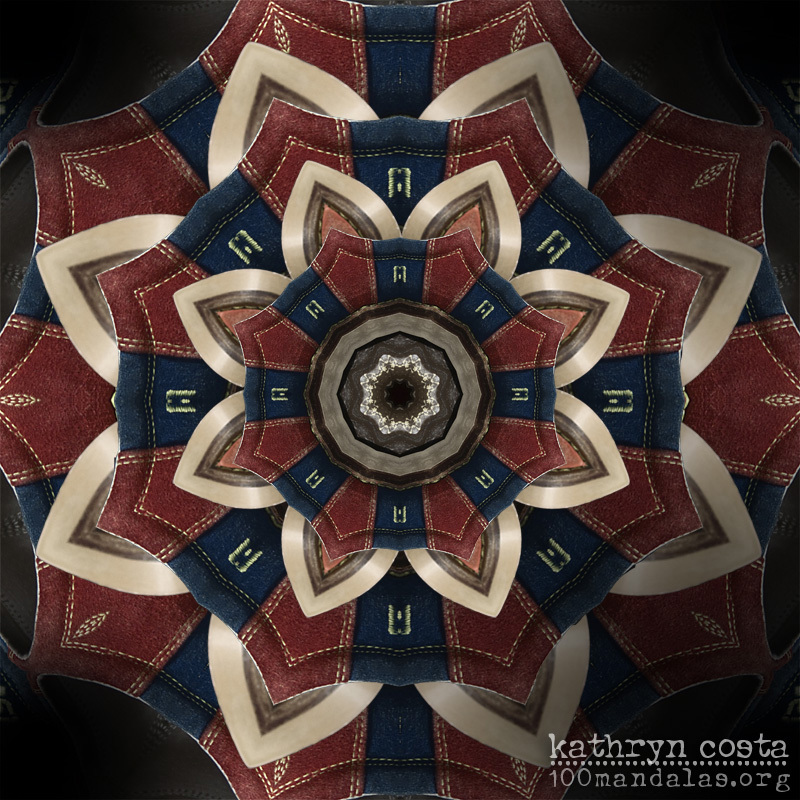 I hope you’ll share with me your mandala experiments.